If you have a company that manufactures and sells dietary supplements, you need to take FDA regulations on dietary supplements seriously. In answer to what is presumably your first question, yes, both dietary supplement products and dietary supplement ingredients are regulated within the United States. Both of these aspects of dietary supplements are regulated by the FDA, which is responsible for regulatory measures and information related to such areas as food, pharmaceuticals and more. Moving forward from that thought, there are a few things you are going to want to keep in mind. First of all, when it comes to FDA regulations on dietary supplements, you need to ask yourself the following: Have you ever heard of the Dietary Supplement Health and Education Act of 1994? If not, you are definitely going to want to familiarize yourself with this significant piece of dietary supplement legislation. Simply put, the DSHEA classifies all dietary supplement products as food products, rather than drugs. This measure ensures that companies like yours maintain access to high-quality, natural food supplements. Natural products cannot be protected through patents. This fact would doom supplements to extinction, if they had to endure the costly, time-consuming process of approval that is required for drugs. The act defines these supplements as products that are designed to supplement a diet, featuring items such as vitamins, minerals, herbs, other botanicals, amino acids and others. Furthermore, the act also establishes acceptable labeling claims, making it clear that it is the responsibility of the FDA to establish whether or not a dietary supplement is safe. Safety requirements pertaining to emerging dietary ingredients are also outlined through the DSHEA. It is a common misconception with the public that dietary supplements are not regulated. This is simply not true. FDA regulations on dietary supplements cover two important aspects. In the first place, the FDA handles regulations in relation to the labeling of the product. Any claims made must be submitted within thirty days of its first use. In addition to this, the FDA also holds manufacturers responsible for maintaining good manufacturing practices. In the end, it is the responsibility of every dietary supplement manufacturer to understand how the FDA and the DSHEA apply to them. For the sake of the health and growth of your company, it is definitely in your best interests to take the DSHEA seriously. Doing so can also help to establish a measure of trust with your potential customers. 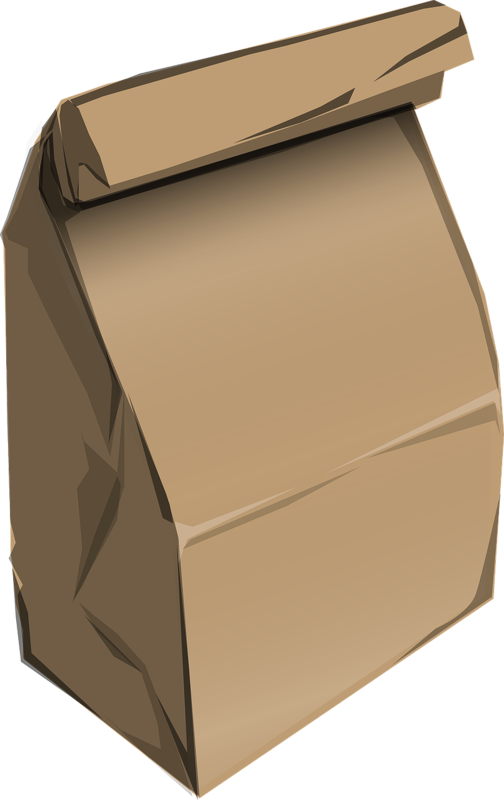 Have you considered gusset pouches for your packaging needs? If not, you may want to do something to change this. Gusset packages represent an option for packaging that is a good deal more diverse than some people give them credit for. Whether you are a new business looking to establish optimal packaging practices, or an established company that would love to take a new approach to your packaging, gusset pouches are well worth considering. Are Gusset Pouches Right For You? Gusset pouches for your packaging needs could prove to be a smart idea indeed. These bags are particularly popular for coffees and teas, but they have grown increasingly popular with other food industries over the past couple of years. Certain food products, snacks and even bakery goods are all examples of products that can take advantage of gusset pouches. These pouches offer a firm foundation, with easy access at the top of the package. There are a variety of different gusset pouch options you can consider, including base gussets and side gussets. Many seem to prefer side gusset pouches. Take a look at a few visual examples. In doing so, you can begin to see why a number of food companies are turning to this packaging option for their products. Extremely efficient on a couple of critical levels: In the first place, gusset pouches represent a very affordable form of packaging, especially when you compare it to other rigid packaging options. Secondly, gusset pouches emphasize efficiency in packing potential. The sides are capable of expanding, which gives you the ability to package bulky items. Additional features can make a good thing even better: Spouts are a good example of the features that can be added to these pouches. The shelf appeal is excellent: When you use gusset pouches for your packaging needs, the high quality packaging and high-gloss print are excellent in the way of shelf appeal. You can display them in a variety of ways: Gusset pouches can be displayed both vertically and horizontally. The high-barrier: The high-barrier is great for providing both protection and exceptional shelf life. At Techni-Pak, we can show you how to take advantage of this exceptional packaging product. If this is indeed the right product for you, then there is no better time than now. There are a number of unique food packaging requirements out there. The challenge for you is to understand how these requirements pertain to your specific food products. 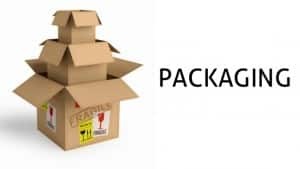 Packaging requirements cover a myriad of concerns that are designed to protect both company and consumer. Ignore these requirements at your own professional peril. They are definitely worth taking seriously. One of the first unique food packaging requirements you have to consider concerns product qualification. To put it another way: Is your product qualified to be sold? Are you adhering to all FDA requirements that pertain to food packaging? It is definitely a good idea to find out what is expected of you. Another food packaging requirement to keep in mind concerns the ingredients. Never forget that you are expected to have all of the ingredients in your products listed on the packaging. This should be clearly displayed and easy to read. Furthermore, you want to be certain that your labels are correct and not misleading in any way. In the first place, going against this can prove to be disastrous for your reputation. In the second place, it can get you in a good deal of trouble with the FDA. You’re also going to want to choose the right packaging material or materials. You want materials that are going to accomplish three things simultaneously. The packaging absolutely must protect the food. This works on two levels. It protects the food from being damaged during shipping, or from being damaged due to repeated handling by customers. At the same time, it also protects the customer from potential contamination. The next consideration with this aspect of unique food packaging requirements involves information. You want to choose materials that will allow you to provide all the information you want, as well as all the information you are required to disclose. Finally, you want materials that emphasize preservation and which prevents exposure and waste. You may also need to have your packaging adhere to certain conditions. For example, certain perishable products must be packaged in a controlled environment, with specific attention paid to temperature and humidity. Industry standards and government regulations must be followed. Make sure you’re following label requirements as well. This includes, but is certainly not limited to, establishing the identity of the product, a net contents statement, nutrition facts, ingredient-allergen statements, and a signature line that provides a name and address. This should give you an idea of your overall requirements. The subject of United States vs international packaging is well worth taking seriously. This is particularly true for companies who are just starting out and have made the decision to have another company take care of their packaging needs. Your choice of packaging company is essentially going to come down to either a United States based packaging company or an international one. Which avenue is going to be the right one for you? After all, when it comes to the subject of United States vs international packaging, you want to think about your search for the right company as the search for an optimal business relationship. Obviously, you want this business relationship to run as smoothly as possible. At the end of the day, all the research you could ever hope to do is going to point you towards a singular reality: When it comes to United States based or international packaging companies, the United States packaging companies as a whole makes for the better solution to your packaging needs. This may change in the future, but that doesn’t seem likely. U.S. packaging companies offer a better distribution cycle: U.S. packaging companies are better equipped to handle complex, elaborate distribution networks. U.S. packaging companies have to meet a wide variety of compliance and certification demands: U.S. companies not only work with government and regulatory agencies to meet a varied assortment of standards, but they are also at the forefront of helping to create worldwide standards that endeavor to achieve even more. U.S. packaging companies have the greatest access to markets: Simply put, when it comes to United States vs international packaging, the U.S. based companies tend to enjoy larger and more varied markets than their international counterparts. U.S. companies are constantly seeking innovation: Overall, U.S. companies have introduced far more innovation in the packaging industry than international companies. Furthermore, U.S. based companies have far more experience with North American policies, routes and practices. Companies that exist and operate within the United States quite frankly have a level of experience and understanding that you won’t find anywhere else. At the end of the day, it’s important to know who to turn to for your packaging needs. As we mentioned before, you’re seeking out what is potentially going to be a long-term relationship. Make it a fruitful one. Misspelled Words – this can be disastrous for it sends a different meaning to the consumers. Misfit packaging – some packaging is too big or too small for the product. Materials are not durable – this is very important especially for products stored in cartons and thin plastic. Consumers tend to damage the packaging unintentionally.Consider making the packaging more durable and as strong as possible. Unclear printing – packaging includes printed labels. It is very important for the printing to be clear and bright to attract consumers. Mislabeling – companies need to be extra careful when labeling. Sometimes labels are accidentally placed on a different product. Not user­friendly – there are products that are not practical to take to outdoor activities such as canned products and bottled drinks. Bringing a can opener and bottle opener can be inconvenient, so people tend to settle for products that are handy and are easy to deal with. Unclear product directions – with every package it is important to include directions for use of the product and also instructions on how to open the package. · Too much use of adhesives – one good example for this is toothbrush packaging, where the carton part is attached to clear plastic. Some are hard to open due to too much adhesive. · Improper sealing – there are products that should be properly sealed. For example products that have a very short shelf life like food. Where the seals are too weak and can easily be torn off, the chances are food can be exposed and contaminated. Handling of products, especially food products, is very important as this can pose a serious threat to consumers’ health. 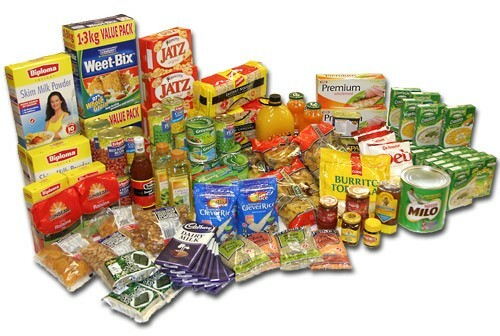 For packaging needs do not settle for mediocre services and compromise the credibility of your business. 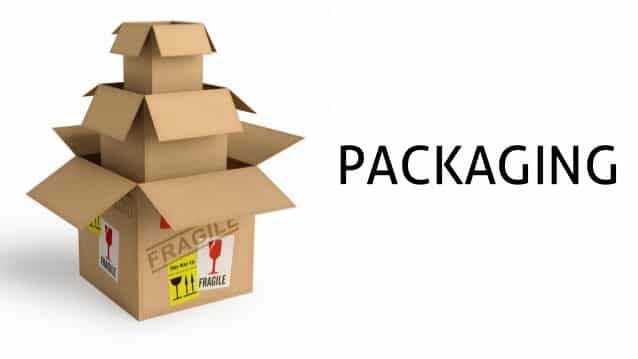 Techni­ Pak can be your packaging partner. Without question, if you’re putting together an assorted kit, you’re going to find yourself dealing with the varied challenges of packing multi-component kits. Thankfully, if you can identify these challenges before you even get started, avoiding them in the packing stage isn’t going to be too difficult. All of these challenges associated with multi-component kits and packing should be taken seriously. All it takes is one misstep to completely undo an otherwise fantastic multi-component kit. When it comes to dealing with the challenges of packing multi-component kits, one of the first things you need to address is knowing what you’re going to put in the kit to begin with. The main thing about multi-component kits is that you’re talking about a fairly complex concept. These kits can be small, featuring a few specific items, but they can also be extremely complex, featuring a seemingly endless array of product possibilities. The challenge for you will be to figure out what your customer base is going to want and then act accordingly. Without question, make sure everything in the multi-component kit has a reason to be there. Try to work under the concept of creating a kit with items that are connected to one another in some form or fashion. The size of the kit is naturally also important. You don’t want to leave out things that are capable of making a meaningful contribution. At the same time, you don’t want to load up the kit so understanding its original purpose becomes difficult. Think about bundling functionality and layout options. How are these things going to allow your customers to get the most use possible out of the kit? This is another of the great challenges of packing multi-component kits. Beating the deadline represents another challenge. To that end, you want to get the ball rolling on your kit as soon as humanly possible. You need to consider the possibility of having to make changes or adjustments. You want to allot time enough to have complete confidence. You should also ensure you have complete confidence in the shipping side of things. Not only should you make sure the kits have been prepared in such a way as to make them safe for transportation, but you should also make sure you’ve chosen the most efficient shipping option possible. Let Techni-Pak do the packing for you. Our experience and attention to detail can overcome a great many challenges. Relaunching is an incredible opportunity to motivate a bored workforce, raise the profile of your organization and infuse new vitality into a product. Staffing and organizational issues can be determined during the process, which are just added bonuses. The main impetus behind a relaunch is the need to improve the marketing position of your item, either by turnover or product development. 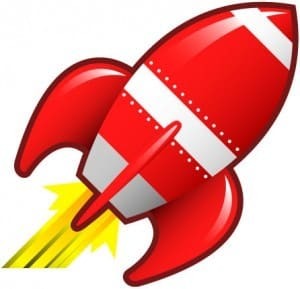 What is a Product Relaunch? The reasons behind rebranding as well as relaunching an organization, item or administration are varied and should be undertaken with the purpose of attracting attention. Brands are continually advancing to ensure they stay ahead of changes needed to compete in the market place. It’s the level of progress required that is the basic issue. A brand review and statistical surveying will help evaluate the rate of progress needed for different products. Brands need to stay significant to their business objectives, to stay aware of the times and keep pace with changing client needs (e.g. administration, availability, comfort, choice, evolving patterns, innovation). A brand that has become out­dated according to its customers is in peril of stagnating, if it has not already fallen into decline with a loss of market share. In a quick moving environment with strong competitors, rebranding may be necessary to change the image of the business. Bear in mind the end goal is to attract a potential customer to purchase your product. Rebranding can be used as a method of blocking or outsmarting competition or a method for addressing price competitiveness. The continuing development of technology and the resulting rate of progress is frequently exponential. When a product is related to technology e.g. web, programming, equipment and where the item is continually improving, then a rebrand can address these rapid changes. Rebranding or revitalisation, advertise the organization’s’ advancement and guarantees the product’s “change hungry” clients continue returning to see “what’s new”. What’s Involved in Relaunch Process? Relaunch plans, a brand review, exploration, and suggestions. Application plan for all touch points. Relaunch execution, dispatch, and rollout. Outside communication of a rebrand to all significant stakeholders, clients, media and shareholders. Measure of effect and business return. In the event that a brand has been available for a brief time e.g. only three years (remembering time may be measured differently considering your business sector/industry) then it is most likely too soon to rebrand. It requires time to construct a brand and advance it into something valid and significant to its intended market. Rebranding to increase sales in a young brand may be better approached using a different marketing strategy, unless the current brand arrangement is extremely defective. It’s not a smart plan to rebrand because “you feel like it” or someone thinks it’s a good way to further their career. In the event that there is no convincing business reason e.g. new development, cultural considerations, new practices, society and the various reasons stated above, then a prospective customer will be left feeling unsatisfied. On top of that you’ve squandered a considerable amount of cash! 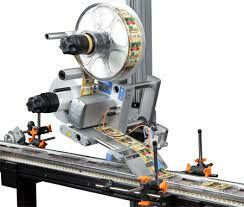 A label is any material attached to an object or product to give information about it. It can be in the form of paper, cloth, polymer or written on the container directly. Labels are important because they provide information, instructions or warnings, or are simply for advertising purposes. A product needs to have a label for it to be recognized. Labels are also used to assure consumers of the safety, reliability, durability and effectiveness of a product. Labels are widely used around the world, not only in businesses but also in the household. While there are labels that succeed in the market, there are some that also fail. Choice of color – add a dash of color to your containers with imaginative label printing depending on the product you are selling. This without a doubt, will make your items stand out among others. Graphics – a good eye for realistic graphics will also help attract attention to your item. Fonts – the choice of font style is very important for readability. A product must have a readable label. Label size – as much as font style is essential, font size is of equal importance. The bigger the better. Theme – a good theme can take you a long way when it comes to business. Choose a theme that incorporates the product you are selling. Companies are successful not only for the products they sell but also for the packaging and labels they use. There are a lot of things to consider in choosing a label, for this can make or break a potential business. The labeling and packaging of a product can have a huge impact on the decision as to whether the consumer will use the product or not. Good labeling greatly matters. There are many different reasons why clients may wish to return stock. These include a change of mind, imperfection of stock, individual disappointment, or a mix up with the item. For garments it might be the wrong size. It may be that the manufacturer has requested that a product is returned due to a fault being identified, also known as a product recall. Many retailers will acknowledge returns provided that the client has a receipt as proof of purchase and that certain conditions, which depend on the retailer’s policies, are met. These include that the item is still in good condition and has not exceeded the time limit required for returns, from the purchase date. How to Reduce Return rates? 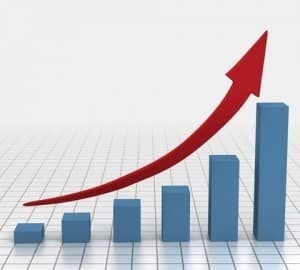 Returning of products is inevitable in all kinds of industries and one way to cope with the loss of profit is to at least reduce return rates. So how does it work? Proper labeling can help a lot. Proper Size Guides – this must be included on the labels of a product such as shoes and clothing. Often people make mistakes when choosing their size. Size guides can be very helpful. Good Product Imagery – graphics are very important as this enables the customer to see clearly the important elements of the product, such as design and functionality. Fitting tools – the use of proper fitting tools such as the ones we find in the household are of great help while considering measurement units familiar to people, such as centimeters, meters, and inches. In every industry, it is the retailers’ duty to inform consumers of all the necessary information about the product by proper labeling. Lack of proper information about the merchandise can lead to the dissatisfaction of the consumer, which eventually leads to high return rates, losing a potentially greater profit. Once products are returned, consider using Techni­Pak to re­package the returned goods. We can create special priced multi­packs, high value kits or re­label for a different retailer. Are the methods of reducing return rates useful? What other methods do I need to use when return rates are still high? With the rise of technology and easy access to the Internet, E-Commerce is now rapidly growing. Many businesses invest in E­-Commerce due to demand, convenience and increased sales. Even small businesses invest in E­-Commerce as it helps boost their sales. E­-Commerce, otherwise known as electronic commerce, is the act of buying and selling products via electronic networking or more commonly, the internet. These transactions do not limit themselves to products, but also data, funds and information. The relationship of E-commerce can range from business ­to ­business, consumer ­to­ business (or vice versa) and consumer ­to ­consumer. There are different applications involved in E­-Commerce. It could be through e-­mail (electronic mail), fax messaging, web sites with catalogs and carts and some coded messaging, among many others. Online shopping is the term frequently used for the act of looking for certain products and purchasing them through electronic transfer. The great thing about online shopping is that it can be done anywhere and anytime, as long as you have electronic or internet connection. This can certainly save time for consumers with a tight schedule, or those who live far from their suppliers. All products are at your fingertips using the right transaction. You do not have to go out to a shop to purchase a product because most items are available online. Because of this, there is a high demand for E­-Commerce as there are more pros than cons. With the rise of E­-Commerce, comes the increase and need for fulfillment centers. These centers are specifically there to cater to E­-Commerce. These facilities process incoming orders that are received from their store partners. Their role is to pack and dispatch outgoing orders received from their store partners who have invested in E­-Commerce. A simple scenario would start with the consumer purchasing the item from the store’s web page, this information is then sent to the store, the store then sends the order to the fulfillment center where the item is packed and delivered to the consumer. Fulfillment centers are convenient as they help the stores save time and space due to the increasing demands of customers. Some fulfillment centers even cater to just one client if the said client has high demands for its products. E­-Commerce and fulfillment centers work hand ­in-hand to achieve customer satisfaction and satisfy demand. Since there are a lot of consumers, even abroad, due to the easy access to the internet, companies that invest in E­-Commerce would also need to partner with fulfillment centers to keep up with their growing business.